TLJ Daily E-Mail Alert No. 1,297 January 26, 2006. January 26, 2006 Alert No. 1,297. 1/25. President Bush nominated Steven Bradbury to be Assistant Attorney General (AAG) in charge of the Office of Legal Counsel (OLC). See, White House release. This is a renomination. The Senate Judiciary Committee (SJC) approved this nomination, by unanimous consent, on November 3, 2005. He is currently the acting AAG for the OLC. Bradbury is one of the attorneys providing legal advice to AG Alberto Gonzales and President Bush regarding the National Security Agency's (NSA) extrajudicial electronic surveillance of communications where one party in within the U.S. and one party is without. Previously, he worked in the Washington DC office of the law firm of Kirkland & Ellis. He is also a former law clerk for Supreme Court Justice Clarence Thomas. Bradbury and Brett Kavanaugh (see following story) both represented GTE Internetworking Inc. (GTEi) in AT&T v. Portland, in the U.S. Court of Appeals for the Ninth Circuit, App. Ct. No. 99-35609. This was a cable access case. See, joint brief of GTE and US West and case summary. GTEi was previously known as BBN. GTE has since merged into the company now known as Verizon. Bradbury and Kavanaugh also represented GTEi in an antitrust action action against TCI, Comcast, and At Home filed in 1999 alleging that the bundling of high speed cable data transport with ISP service is a violation of the Sherman Antitrust Act. See, complaint and case summary. 1/25. President Bush nominated Brett Kavanaugh to be a Judge of the U.S. Court of Appeals for the District of Columbia Circuit. See, White House release. This is a renomination. Bush nominated Kavanaugh in the 108th Congress, and again last year. However, Senate Democrats have used the filibuster, or threat of the filibuster, to prevent the Senate from voting on Kavanaugh and many of President Bush's of nominees for various U.S. Courts of Appeals. Kavanaugh has worked in the Office of White House Counsel. Previously, he worked for the law firm of Kirkland & Ellis. Before that he worked for Ken Starr in the Office of Independent Counsel. Sen. Hillary Clinton (D-NY), whose husband Kavanaugh previously investigated, is now a member of the Senate. See also, story titled "Bush to Renominate 20 for Federal Judgeships" in TLJ Daily E-Mail Alert No. 1,044, December 27, 2004. 1/25. President Bush nominated Michael Chagares to be a Judge of the U.S. Court of Appeals for the Third Circuit. This nomination is for the seat vacated by Michael Chertoff when he became Secretary of Homeland Security. See, White House release. President Bush also nominated Renee Marie Bumb, Noel Lawrence Hillman and Susan Wigenton to be a Judges of the U.S. District Court for the District of New Jersey, which is a part of the 3rd Circuit. See, same White House release. This set of nominations follows an agreement between President Bush, and Sen. Frank Lautenberg (D-NJ), Sen. Robert Menendez (D-NJ), and former Senator, and now Governor, Jon Corzine. Sen. Lautenberg stated in a release that "I will urge the full Senate to confirm these judges". Chagares is a partner in the Commercial Litigation Department of the law firm of Cole Schotz Meisel Forman and Leonard in Hackensack, New Jersey. He was previously Chief of the Civil Division of the U.S. Attorney’s Office for the District of New Jersey. See, Cole Schotz bio. Wigenton is a federal Magistrate Judge in Newark, New Jersey. Hillman is Chief of the Public Integrity Section in the Criminal Division of the Department of Justice. 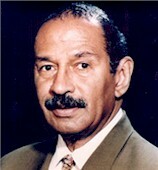 Bumb is head of the Camden office of the U.S. Attorney's Office for the District of New Jersey. 1/25. President Bush nominated Andrew Guilford to be a Judge of the U.S. District Court for the Central District of California. See, White House release. Guilford is an attorney in the Orange County office of the law firm of Sheppard Mullin Richter & Hampton. He has experience in intellectual property related litigation. 1/25. President Bush nominated Vanessa Bryant to be a Judge of the U.S. District Court for the District of Connecticut. See, White House release. She is currently a state court judge. 1/25. President Bush nominated Brian Cogan to be a Judge of the U.S. District Court for the Eastern District of New York. See, White House release. 1/25. President Bush nominated Thomas Golden to be a Judge of the U.S. District Court for the Eastern District of Pennsylvania. See, White House release. 1/25. President Bush nominated Gray Miller to be a Judge of the U.S. District Court for the Southern District of Texas. See, White House release. He is a partner in the Houston office of the law firm of Fulbright Jaworski. 1/24. Maureen Grewe was named the Department of the Treasury's (DOT) Financial Attaché in Tokyo, Japan, effective August 2006. In addition, Barbara Matthews was named Financial Attaché in Brussels, Belgium. See, DOT release. 1/24. The U.S. States Chamber of Commerce's Space Enterprise Council name Matthew Jones as its new Chairman and Earl Madison as Vice chairman for 2006. Jones is Manager of Air Force Space Systems for Boeing. Madison works for Lockheed Martin. 1/20. Rep. John Conyers (D-MI), the ranking Democrat on the House Judiciary Committee, sent a letter [PDF] to twenty communications and information technology companies regarding disclosure to the federal government of consumer records. Rep. Conyers (at right) wrote that he wants to know if these companies have "allowed the federal government to eavesdrop on customer communications through your facilities or has turned over customer records when not compelled to do so by law". "1. Has your company, or its contractors or subsidiaries ever given the government access to any of their hardware or software used to deliver communications services in response to a request that was not compelled by one of the following: a grand jury subpoena, a national security letter, a court authorized wiretap order, a valid pen register or trap and trace order, a valid administrative subpoena or a request for documents and things under Section 215 of the PATRIOT Act? If access was used to monitor the content of communications, what type of communications were monitored? How many customers were surveilled? On what date(s) did the surveillance take place? Was surveillance continual or intermittent? Were the customers surveilled ever notified? Does the government presently have access to these methods of communications? What authority was cited by the government to have access to such content without a valid wiretap? What agency or department conducted the surveillance?" "2. Has your company, or its contractors or subsidiaries ever turned over customer records to the federal government in response to a request that was not compelled by one of the following: as a grand jury subpoena, a national security letter, a valid pen register or trap and trace order, a valid administrative subpoena, or a request for documents and things under Section 215 of the PATRIOT Act? How many times did you receive such a request? What authority was cited in each request? What agency or department made the request? How many times did you comply with such a request? What information was shared with the government in response to each request? How many customers' records were shared under each compliance with such a request? On what date(s) did you turn over your customer records? Were customers ever notified that their information was given to the government?" The letter was sent to BellSouth, Sprint, Microsoft, Citizens Communications, Qwest, AT&T, Verizon, CenturyTel, Comcast, Charter Communications, Time Warner, Adelphia, CableVision, Cox, Earthlink, Yahoo, Google, Cingular, T-Mobile, and United Online. This letter follows stories on this subject published by the New York Times in December of 2005. 1/23. Rep. Joe Barton (R-TX), Rep. John Dingell (D-MI), Rep. Fred Upton (R-MI), and Rep. Ed Markey (D-MA) sent a short letter [PDF] to Federal Communications Commission (FCC) Chairman Kevin Martin regarding the sale and disclosure of consumer phone records. They requested copies of the annual certifications of the five largest wireline carriers and five largest wireless carriers regarding compliance with the FCC's customer proprietary network information (CPNI) rules. The four are the Chairmen and ranking Democrats of the House Commerce Committee and its Subcommittee on Telecommunications and the Internet. The body of the letter contains four paragraphs, which are quoted in full below. "We write with respect to the disclosure of consumer phone records. The protection of consumer privacy in an age where an increasing amount of personal information and transactions are contained in electronic form is more vital than ever. Consumers are rightly concerned when they learn that their personal information has been compromised. In the recent cases involving the online sale of telephone records the apparent ease with which such personal information has been compromised, obtained, and then sole, is shocking and unacceptable." "In your January 13th response to Representative Markey's November 7th letter, you note that the Federal Communications Commission (the Commission) has before it a petition from the Electronic Privacy Information Center, which was filed last year and for which the public record is now closed. We are eager to know when the Commission will complete its review of the record and determine what actions should be taken in response to the petition." "In addition, in your response, you also note that each telecommunications carrier, under existing customer proprietary network information rules, "must certify annually that it has established operating procedures that are adequate to ensure compliance with these rules, and must provide a statement explaining how its operating procedures ensure such compliance." As part of our ongoing investigation of this issue, as well as the Commission's response to consumer privacy concerns, we request that you forward to us the last annual certifications the Commission has received from the 5 largest wireline telecommunications carriers and the 5 largest wireless telecommunications carriers, along with the accompanying statements from each company explaining how their internal procedures protect the confidentiality of consumer information." "Please provide our office the requested documents by January 30, 2006. Thank you in advance for your time and attention in responding to this request." In addition, Rep. Markey stated in a release that "Every day that we wait we leave the public exposed to these information attacks -- we must shut down this black market of consumer information immediately". The EPIC petition was filed on August 30, 2005, in CC Docket No. 96-115, by Chris Hoofnagle. 1/24. The U.S. Court of Appeals (2ndCir) issued its opinion [4 pages in PDF] in Cassano v. Carb, affirming the District Court's dismissal of the plaintiff's complaint for failure to state a claim upon which relief can be granted. Defendants fired Dianne Cassano because she refused to give them her Social Security Number. She asserted that she feared identity theft. The Court of Appeals discussed, and rejected, claims based upon 42 U.S.C. §§ 1981, 1983, 1985, and 1986, and a right to privacy under the Fourth Amendment and the Equal Protection Clause of the Fourteenth Amendment. This case is Dianne Cassano v. Allen Carb, et al., U.S. Court of Appeals for the 2nd Circuit, App. Ct. No. 04-6712-cv, an appeal from the U.S. District Court for the Eastern District of New York, Judge Joanna Seybert. 1/24. The U.S. Court of Appeals (4thCir) issued another opinion [PDF] in Doe v. Chao. The Privacy Act of 1974, which is codified at 5 U.S.C. § 552a, provides that people can sue the federal government for the wrongful disclosure of their Social Security Numbers (SSN) and recover statutory damages. In this case, the Department of Labor wrongfully disclosed SSNs. Doe and others sued. The Court of Appeals previously held that plaintiffs must also show actual damages in order to recover statutory damages. The Supreme Court affirmed. However, it remanded the issue of attorneys fees and costs. The District Court then held that Doe's attorneys are entitled to recover attorneys fees and costs. In the just issued opinion, the Court of Appeals affirmed this holding, but rejected the District Court's calculation. This case is Buck Doe, et al. v. Elaine Chao, U.S. Court of Appeals for the 4th Circuit, App. Ct. No. 05-1068, an appeal from the U.S. District Court for the Eastern District of Virginia, at Big Stone Gap, CA-97-43-2, Judge Glen Williams presiding. In 2003, the Electronic Privacy Information Center (EPIC) and other groups and individuals filed an amicus curiae brief [37 pages in PDF] with the Supreme Court in this case. 1/25. President Bush gave a speech at the National Security Agency (NSA) in Fort Meade, Maryland, regarding the NSA's extrajudicial electronic surveillance of communications where one party is within the U.S. and one party is without. He again argued that the program is both important and legal. 1/23. The Department of Justice's (DOJ) Antitrust Division and state plaintiffs filed a pleading titled "Plaintiffs' Response to Microsoft's Supplement Status Report on Microsoft's Compliance with the Final Judgments" with the U.S. District Court (DC) in U.S. v. Microsoft, D.C. No. 98-1232 (CKK). The Senate will meet at 9:30 AM. It will resume consideration of Sam Alito to be a Justice of the Supreme Court. 10:00 AM. The Department of the Treasury (DOT) will host a news conference to announce the release of a DVD titled "Identity Theft: Outsmarting the Crooks". The DOT notice states that "Media without Treasury press credentials planning to attend should contact Frances Anderson in Treasury's Office of Public Affairs at (202) 622-2960 or (202) 528-9086 with the following information: name, Social Security number and date of birth." Location: Room 4121 (Treasury Media Room). POSTPONED. 10:00 AM. The Senate Commerce Committee (SCC) will hold a hearing titled "Competition and Convergence". See, notice. Press contact: Melanie Alvord (Stevens) at 202 224-8456, Aaron Saunders (Stevens) at 202 224-3991, or Andy Davis (Inouye) at 202 224-4546. The hearing will be webcast by the SCC. Location: Room 562, Dirksen Building. 12:00 NOON. The Federal Communications Bar Association's (FCBA) Young Lawyers' Committee will host a brown bag lunch. This will be planning and informational meeting. For more information, contact Jason Friedrich at jason dot friedrich at dbr dot com or 202 354-1340 or Natalie Roisman at natalie dot roisman at fcc dot gov or 202 418-1655. Location: Drinker Biddle & Reath, 1500 K Street, NW, 11th Floor. 1:00 - 4:00 PM. The National Archives and Records Administration's (NARA) Advisory Committee on Presidential Libraries will meet. See, notice in the Federal Register, January 9, 2006, Vol. 71, No. 5, at Page 1455. Location: Archivist's Board Room, National Archives Building, 700 Pennsylvania Ave., NW. 9:30 AM - 1:00 PM The DC Bar Association will host a continuing legal education (CLE) seminar titled "Essential Checklist for Electronic Discovery". The speakers will include Kenneth Withers (The Sedona Conference), Judith Kinney (Legal Technologies Consulting, Kroll Ontrack), Robert Eisenberg (DOAR Litigation Consulting), Magistrate Judge John Facciola (U.S. District Court, DC), and Jonathan Redgrave (Redgrave Daley Ragan & Wagner). The price to attend ranges from $70-$125. For more information, call 202 626-3488. See, notice. Location: D.C. Bar Conference Center, 1250 H Street NW, B-1 Level. 12:00 NOON - 1:30 PM. The Progress and Freedom Foundation (PFF) will host its "Second Annual Media Luncheon". RSVP to Amy Smorodin at 202-969-2957 or asmorodin at pff dot org. Deadline to submit replies to oppositions to the U.S. Telecom Association's petition [PDF] seeking reconsideration and clarification of the Federal Communications Commission's (FCC) CALEA order. This is the FCC's order that provides that facilities based broadband service providers and interconnected VOIP providers are subject to requirements under the 1994 Communications Assistance for Law Enforcement Act (CALEA). See, notice in the Federal Register, January 4, 2006, Vol. 71, No. 2, at Pages 345 - 346. 10:00 AM - 5:00 PM. The Federal Communications Commission's (FCC) advisory committee named "Independent Panel Reviewing the Impact of Hurricane Katrina on Communications Networks" will meet. See, FCC release [PDF]. Location: FCC, Commission Meeting Room, 445 12th Street, SW.
4:00 - 5:30 PM. The American Enterprise Institute (AEI) will host a panel discussion titled "The WTO Dispute Settlement System and Developing Countries". Marc Busch (Georgetown University) and Eric Reinhardt (Emory University) will present a paper. The other speakers will be Timothy Reif (House Ways and Means Committee staff), Jay Smith (Georgetown University law school), and Claude Barfield (AEI). See, notice. Location: AEI, 12th floor, 1150 17th St., NW. The House will convene for the 2nd Session of the 109th Congress. See, Majority Whip's calendar. RESCHEDULED FOR JANUARY 24. 10:00 AM. The Senate Commerce Committee (SCC) will hold a hearing titled "Broadcast and Audio Flag". Press contact: Melanie Alvord (Stevens) at 202 224-8456, Aaron Saunders (Stevens) at 202 224-3991, or Andy Davis (Inouye) at 202 224-4546. The hearing will be webcast by the SCC. Location: __. RESCHEDULED FROM JANUARY 24. 10:00 AM. The Senate Commerce Committee (SCC) will hold a hearing titled "Video Franchising". The witnesses will be Ivan Seidenberg (Verizon), James Ellis (AT&T), Thomas Rutledge (Cablevision Systems Corporation), Brad Evans (Cavalier Telephone), Lori Tillery (National Association of Telecommunications Officers and Advisors), Anthony Riddle (Alliance for Community Media), Gene Kimmelman (Consumers Union), and Gigi Sohn (Public Knowledge). See, notice. Press contact: Melanie Alvord (Stevens) at 202 224-8456, Aaron Saunders (Stevens) at 202 224-3991, or Andy Davis (Inouye) at 202 224-4546. The hearing will be webcast by the SCC. Location: Room 562, Dirksen Building. 9:30 AM. The Senate Judiciary Committee may hold an executive business meeting. Location: Room 226, Dirksen Building.